Why Are Rollovers So Important? Watch video above for an example of a rollover. 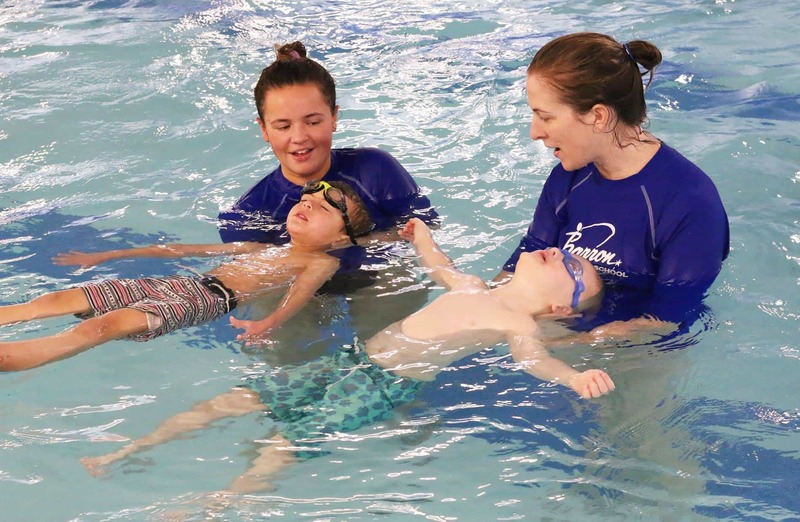 As a parent, you may be watching your child swim freestyle and all of the sudden he or she rolls all the way over to their back, floats for a count of five to seven, and then rolls back to their stomach and this process is repeated. You may ask yourself why this is being done. Well here is the reason why. Our biggest responsibility as a swim school is to teach water safety. One of our goals is for everyone to have the ability to roll over to their backs and float independently. This is a crucial safety skill. If a swimmer gets into a situation where they are extremely fatigued, we want them to be able to roll over to their backs to relax and catch their breath. If they fall into the water, we want them to be able to rollover on their back and float until help arrives. Secondly, side breathing is a very difficult skill to teach with freestyle. It is unnatural for a human to exhale under water. That is why you see so many heads raised when kids initially try to breath to the side. We have come up with a very particular progression, which deals with rollovers. Swim three strokes roll over to back with assistance for 6-8 seconds then roll back to their stomach and resume swimming to platform or wall. Same as number 3 but child performs independently. Having the child roll to their dominant side and look back at their hand. Finally, breathe to the side leaving the opposite ear in the water (side breathing). As always, we want to educate our families on why we do certain skills and the reasoning behind it. Thanks for all your support. If you have any questions, please feel free to contact our Aquatics Department Leaders.